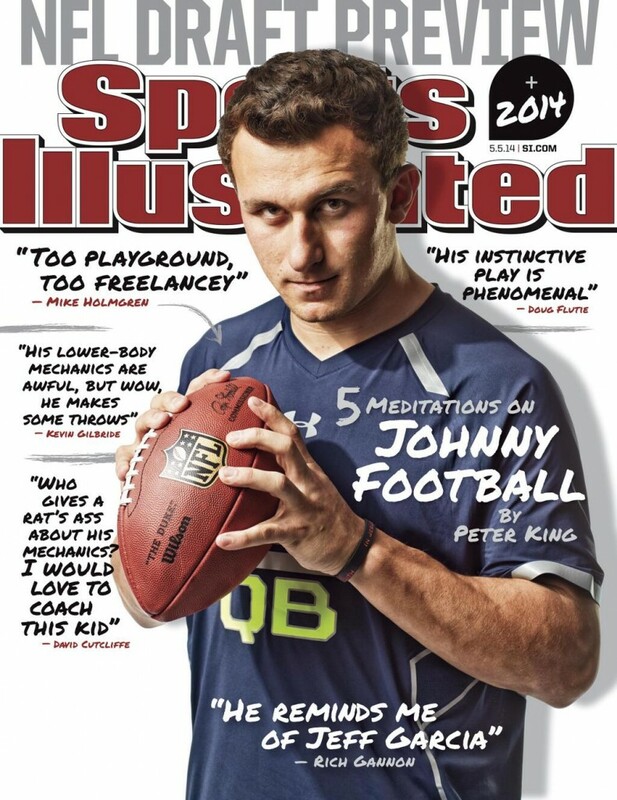 Home / Uncategorized / Where Will Johnny Manziel Be Drafted? Where Will Johnny Manziel Be Drafted? Where will Johnny Football end up? Johnny Manziel at #1 or Johnny Manziel outside of the first round. It all depends on who you talk with or which “draft expert” you follow. All I know is that I’ve never seen a player leading up to a draft that has caused such a split on where they believe he’ll go. Some say he’ll get killed in the NFL and that his style is too unpredictable while others point to that quality as to why he’ll succeed. Sports Illustrated this week will feature him on their cover and try to dive into what makes Manziel such a unique player. One thing is for certain though about Manziel. Wherever he goes the media circus is sure to follow along with a national spotlight. This year’s draft is going to be interesting to say the least. Much in part to Johnny Football.